Registration Desk will be opened at 15:00 on September 14, 2014. The tentative technical program is now available. [11 Sep. 2014] Social Events appears. [9 Sep. 2014] Registration Desk information was added to Program Overview. [3 Sep. 2014] Guidelines for Speakers appears. [30 Aug. 2014] Plenary Talks appears. [22 Jul. 2014] The tentative technical program is available. [4 Jul. 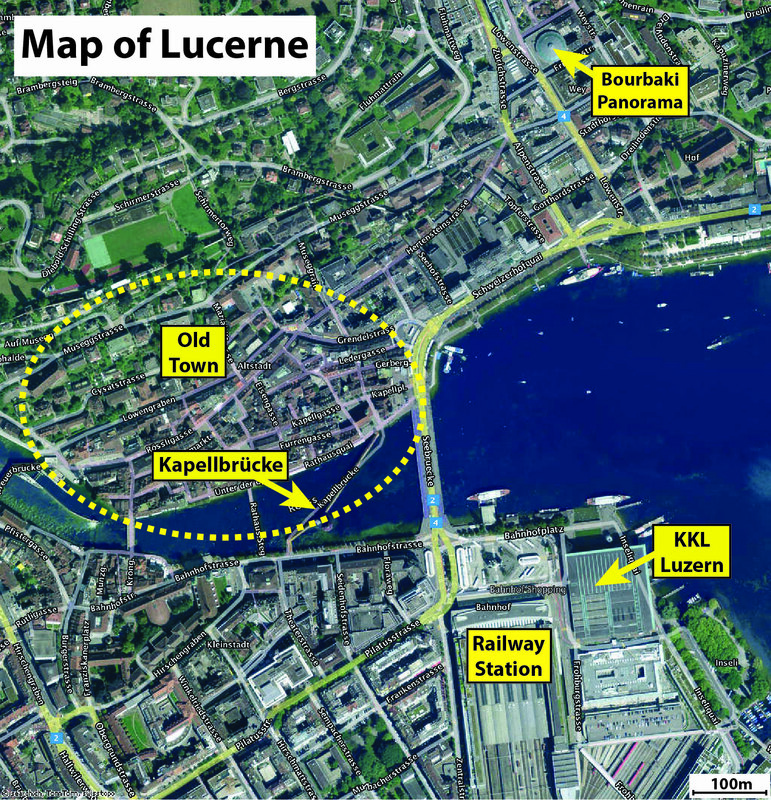 2014] How to get to Luzern from Zurich airport appears. [2 Jul. 2014] Program Overview appears. [13 Jun. 2014] Venue, Invation letter and Accommodation pages appear. Click the left menu icons. [3 Jun. 2014] Registration site has been opened! Early registration due is before/on June 30. [3 Jun. 2014] Final on-line submission site has been opened. [1 Apr. 2014] The deadline for submission of full papers has been extended to April 15. [3 Mar. 2014] Paper submission page has been opened. [26 Feb. 2014] Deadline for Special Session proposals has been extented. [11 Nov. 2013] NOLTA 2014 webside has been pre-opened. 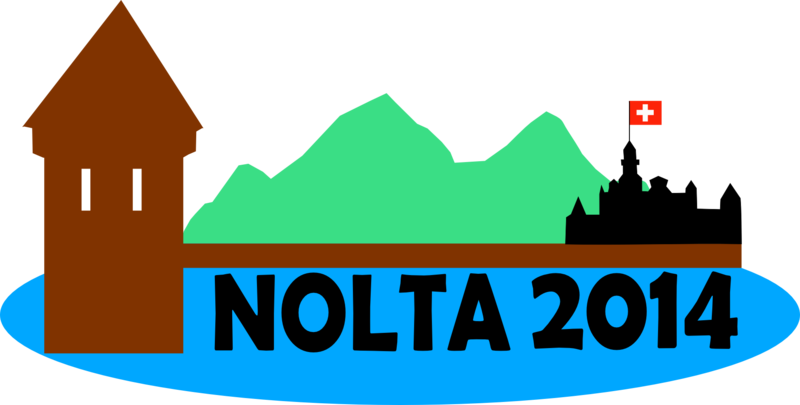 The NOLTA2014 Symposium Committee will select a small number of papers to receive the Student Paper Award. Candidates are nominated by TPC of NOLTA2014 before the Symposium. The Candidates are asked to present the paper at the Symposium. The selection is based on the quality, originality, and clarity of the paper and the presentation. Each speaker must contact the Session Chair in advance of the session. Please come to the session room at least five minutes before the start time. Each session room is equipped with a projector but no computer will be provided. Please bring your own laptop with you. We strongly recommend you to go to your session room and test your laptop with the projector in advance of the session. Presentation time is critical: each presentation is allocated 18 minutes including questions and answers. You should spend about 14-15 minutes for your presentation and leave 3-4 minutes for questions and answers. Any delay in preparation of your presentation will be included in your presentation time. In order to avoid unnecessary delay, please turn on your computer and start the presentation software before the previous presentation ends. September 14, 17:00 Welcome Reception Entrance Hall, Bourbaki Kino. September 15, 8:30 Opening Ceremony Auditorium, KKL Luzern. September 17, 16:30 Excursion and Banquet Departure from KKL Luzern. Student Award Ceremony Entrance Hall/Room 5, Bourbaki Kino. Abstract: The digital logistic map (DLM) is a digital dynamical system based on the logistic map (referred to as the analog logistic map (ALM) in this talk). As is well known, the ALM is a historical example of nonlinear dynamical systems: a very simple one-dimensional difference equation that can exhibit period doubling bifurcation and chaos. The DLM is a mapping from a set of lattice points to itself. Depending on the parameter and initial condition, the DLM can exhibit a variety of periodic orbits and transient phenomena. It should be noted that the DLM is not an approximation of the ALM. Discretizing the ALM, we obtain the DLM. Inversely, interpolating the DLM, we obtain the ALM. There exists no master-slave relationship between the DLM and ALM. Comparing the DLM with the ALM, we have obtained interesting results. For example, when the ALM has a unique stable periodic orbit, the DLM can have plural periodic orbits. The DLM exhibits either periodic orbit depending on the initial condition. When the ALM has an unstable period-3 orbit that causes chaotic behavior, the DLM can have a stable period-3 orbit with various transient phenomena. The DLM is fundamental to consider interesting digital dynamical systems such as cellular automata and digital spiking neurons. Engineering applications of such digital dynamical systems are many, including time-hopping UWB signal generators and reconfigurable control signal generators of switching circuits. Abstract: Recently, a new approach to the analysis of networks has been developed, which allows one the ability to compress a network while preserving all information relative to the network's spectrum. Along with these compression techniques, a number of other isospectral transformations have been developed, that can be applied to gain new results in a number of areas. This includes the stability of time-delayed and non time-delayed dynamical networks, eigenvalue estimation, pseudospectra analysis, and the estimation of survival probabilities in open dynamical systems. In fact, so far, each attempt at applying this approach has been successful, yielding new concepts and results. Moreover, this theory of isospectral transformations can be readily applied in any area that involves the analysis of multidimensional systems and is especially applicable to the analysis of network dynamics of any (directed or undirected, weighted or unweighted, etc) network. 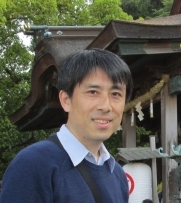 Abstract: With respect to coupled dynamical systems, synchronization, hierarchical clustering and community detection in complex networks, the Laplacian matrix often plays a central role in the analysis, e.g. in spectral clustering methods. In this talk we propose a kernel-based setting for characterizing spectral clustering problems, which provides different underlying model representations. It is shown how this enables making out-of-sample extensions, extracting representative subgraphs, incorporating prior knowledge and handling large scale problems. For working with sparse kernel models in clustering, regression and time-series prediction problems, fixed-size kernel models are proposed. Successful applications are shown for multilevel hierarchical clustering and community detection in complex networks, power load forecasting and customer profiling, and PM10 concentrations pollution modelling. Finally, multitask learning in reproducing kernel Hilbert spaces with spectral regularization is demonstrated for black-box weather forecasting. Abstract: During the last fifteen years, complex network theory has successfully portrayed the interaction among the constituents of a variety of natural and man-made systems. In particular, a great interest has been devoted to the emergence of collective dynamical processes on top of complex topologies characterizing the system's unit-unit interactions. 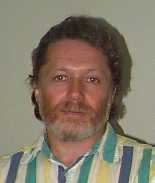 Possibly, the most studied collective dynamics in complex networks is synchronization, as such a state play a crucial role in many relevant phenomena like, just to mention a couple of examples, the emergence of coherent global behaviors in both normal and abnormal brain functions, or the food web dynamics in ecological systems. In this talk, I show that the transition to a graph's synchronous evolution may have either a reversible, or an irreversible nature. The former case is what traditionally investigated in coupled phase oscillators, where a second-order phase transition characterizes the passage from the incoherent to the coherent state of the ensemble. The latter, instead, corresponds to a discontinuous transition, called explosive synchronization (ES). 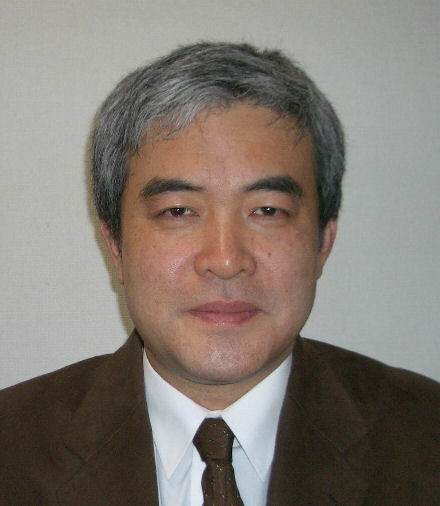 Based on Kuramoto oscillators, ES has rapidly become a subject of enormous interest. While originally it was suggested that ES was due to a positive correlation between the natural frequencies of oscillators and the degrees of nodes, I will discuss several unifying frameworks leading to emergence of ES for generic frequency distributions, and generic connectivity topologies. Abstract: Breast cancer is the most common type of cancer among women and despite recent advances in the medical field, there are still some inherent limitations in the currently used screening techniques. The radiological interpretation of X-ray mammograms often leads to over diagnosis and, as a consequence, to unnecessary traumatic and painful biopsies. First we use the 1D Wavelet Transform Modulus Maxima (WTMM) method to reveal changes in skin temperature dynamics of women breasts with and without malignant tumour. We show that the statistics of temperature temporal fluctuations about the cardiogenic and vasomotor perfusion oscillations do not change across time-scales for cancerous breasts as the signature of homogeneous monofractal fluctuations. This contrasts with the continuous change of temperature fluctuation statistics observed for healthy breasts as the hallmark of complex multifractal scaling. When using the 2D WTMM method to analyse the roughness fluctuations of X-ray mammograms, we reveal some drastic loss of roughness spatial correlations that likely results from some deep architectural change in the microenvironment of a breast tumor. This local breast disorganisation may deeply affect heat transfer and related thermomechanics in the breast tissue and in turn explain the loss of multifractal complexity of temperature temporal fluctuations previously observed in mammary glands with malignant tumour. These promising findings could lead to the future use of combined wavelet-based multifractal processing of dynamic IR thermograms and X-ray mammograms to help identifying women with high risk of breast cancer prior to more traumatic examinations. Besides potential clinical impact, these results shed a new light on physiological changes that may precede anatomical alterations in breast cancer development. 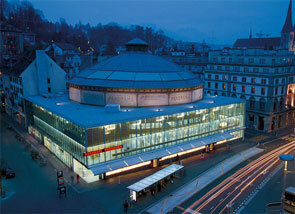 Lucerne offers a wide range of accommodation options that are suitable for the conference. 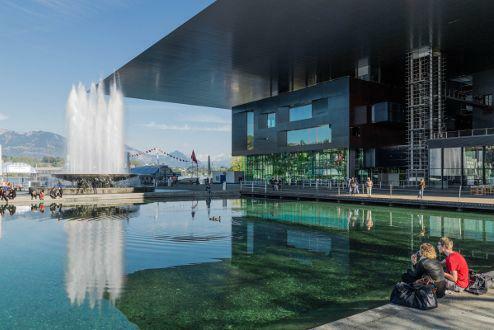 In general, all hotels in the city center of Lucerne are within walking distance of the conference venue (KKL Luzern / Bourbaki Panorama). Since September will be a busy time in Lucerne, we advise people to book early. The following hotels provide special conditions for NOLTA 2014 participants (booking via email). Booking code: "ETH Zürich 0914"
Booking code: "NOLTA 2014, reservation no. 105723"
Call for Papers of PDF version is here. 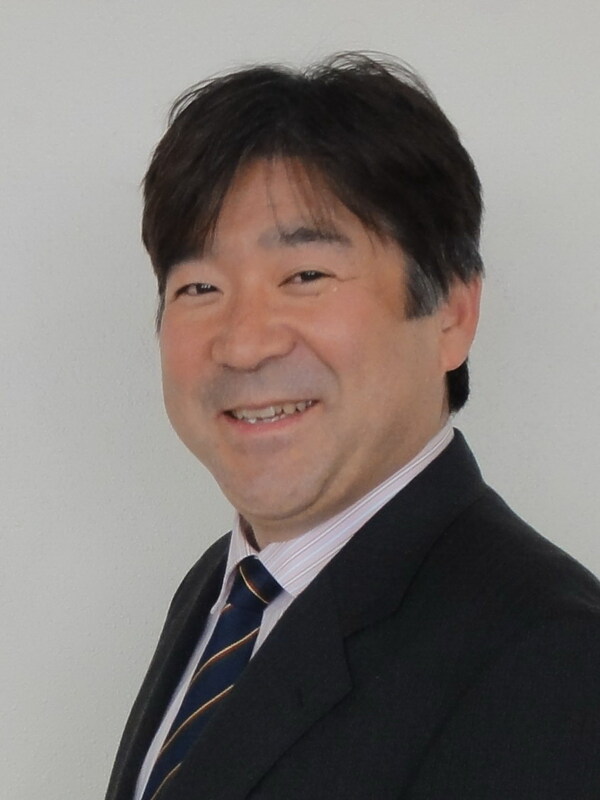 If you need an invitation letter from the NOLTA symposium in order to get visa to Switzerland, please email to the symposium desk nolta14@keiei.shikoku-u.ac.jp. Additional Ticket is valid for welcome reception, conference dinner and farewell party. Note that it is invalid for accessing conference sessions. Sep. 14 (Sun) Bourbaki 15:00 Registrtion Desk is opened. * Lunch is not included in the registration fee. NOLTA2013 : Santa Fe, USA, Sept. 8 - 12, 2013. NOLTA2012 : Palma, Majorca, Spain, Oct. 22 - 26, 2012. NOLTA2010 : Krakow, Poland, Sept. 5 - 8, 2010. NOLTA2009 : Sapporo, Japan, Oct. 18 - 21, 2009. NOLTA2008 : Budapest, Hungary, Sept. 7 - 10, 2008. NOLTA2007 : Vancouver, Canada, Sept. 16 - 19, 2007. NOLTA2006 : Bologna, Italy, Sept. 11 - 14, 2006. NOLTA2005 : Bruges, Belgium, Oct. 18 - 21, 2005. NOLTA2004 : Fukuoka, Japan, Nov. 29 - Dec. 3, 2004. NOLTA2002 : Xi'an, China, Oct. 7 - 11, 2002. NOLTA2001 : Miyagi, Japan, Oct. 28 - Nov. 1, 2001. NOLTA2000 : Dresden, Japan, Sept. 17 - 21, 2000. NOLTA'99 : Hawaii, USA, Nov. 28 - Dec. 2, 1999. NOLTA'98 : Crans-Montana, Switzerland, Sept. 14 - 17, 1998. NOLTA'97 : Hawaii, USA, Nov. 29 - Dec. 3, 1997. NOLTA'95 : Las Vegas, USA. Both places are conveniently located in the city center.